I’m looking at dead things, specifically games about dead things. 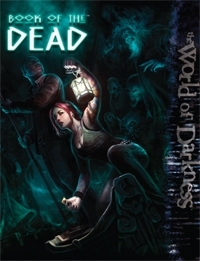 My next three reviews are going to cover the World of Darkness’ shadowy afterlife and the things that sometimes make the doorway between worlds a bit more revolving than usual. These reviews will cover Book of the Dead, Geist: The Sin-Eaters, and Through the Ebon Gate. Today, we will take a baby step into the realm of the dead through the guise of the World of Darkness system’s Book of the Dead. This book intends to deliver an encompassing look at the underworld, although admits that having Geist makes things all the better. The graphic work and layout to this book keeps to White Wolf’s standards, although it isn’t overly engaging. One frustrating bit about this PDF was an error message I continued to receive whenever I opened it. It could be an issue on my end, so I won’t dwell . . . much. The initial fiction was a bit too dark (not so much in tone as in printer toner). A combination of dark backgrounds and sometimes odd fonts made for a difficult read. The good news is that this stops once the game material begins on page 10. There are several “letters” laid out throughout this book and these are used to good effect. Enterprising Storytellers could use these as in-game props and great results. Sidebars and breaks in information look great throughout the book; several tables run seamlessly alongside the borders of the book. Yeah, this book has some hiccups; nevertheless, it still looks good. Let’s talk about this book’s artwork. Artwork tends to have a direct relationship to the importance of the text. With that said, Book of the Dead must be a critical addition to the White Wolf line. The cover art, which features a Mercy Thompson look-alike, is exactly the kind of cover that prepares me to dig into a book. I would LOVE to mention this artist by name, but (whoops) he or she remains uncredited in the PDF. The interior artwork also shines (or darkens if that is your thing). I think the full-page artwork on page 14 is one rocking little piece. It features a boy decked out in a Green Lantern shirt (and carrying a bit of the dead within him) who seems to have a man scrambling away in fear. Some of the art might prove to be offensive to some sensibilities (see page 106), but a fan of death and the underworld shouldn’t be squeamish about an act that brings about life . . . right? Yeah, well, I had to do a double-take on that page. There are also several pieces that seem to take on the appearance of a chiseled work. The artwork isn’t as detailed; however, there is something going on to these pieces that make them feel authentic for this book. There are several cool character pieces such as Norma Jean, the False Ferryman, and others that compose a wonderful little group of “those below” to tempt your characters’ Vices. The single oddest piece has to be on page 128. It looks like something that would belong on the cover of an Over the Edge supplement more than here; on the other hand, I’ll take my psychedelic art where I can get it. All of the artwork in this book feels a certain way . . . until you see . . . this. It does introduce a chapter that carries a slightly different vibe (more sketches in this chapter than the others), so maybe the jarring effect is for that exact purpose. (Side Note: I love the piece on 139 as well. War is Hell, even wars seem to have ghostly echoes). I rarely gush about artwork, focusing instead on the arrangement of sentences and properly spelled words. Book of the Dead is a dense read, riddled with more that two hundred pages of jargon. I think players of Geist will find the material most useful; however, there are ways that any being in the World of Darkness can just, well, fall right through an Avernian Gate. As I said earlier, the book comes in at 201 pages. 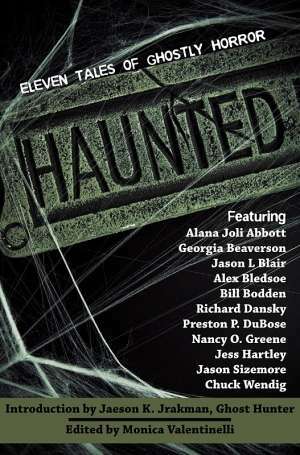 The first ten pages are fiction, which is typical White Wolf format. It then turns over to a four page introduction. This introduction sets up the purpose of the book, a quick overview of how to traverse the underworld, and a quick Lexicon for phrases that will appear heavily throughout the book. Chapter One (pgs 14-46), Where the Light Still Shines, offers a look at different realms within the underworld. Egyptian tombs stand alongside a so-called Japanese Suicide Forest. There are mazes, mausoleums, and much more. A vast offering of time periods and their thoughts are given in order to illustrate the immensity of this dangerous realm. I felt like these snapshots were cut a little short by an abundance of letters, memos, and other notes being used to describe them. Yes . . . it looks cool to use these sometimes; however, the desire should have been reined in a bit. The chapter should have felt a bit more like Ancient Mysteries than the multi-voiced read given. Chapter Two (47-68), Chthonic Cultures, takes a broad look at the underworld through the eyes of each horror-based White Wolf line (sorry no new information on the Street Fighter RPG in this book). New Merits and Flaws start appearing in this chapter as the fiction gives way a little bit to the mechanics for crossing over (and back). This is really a impressive listing of material for each line is given though I felt Mage was a little left behind in this chapter. Chapter Three (69-96), Dark Sympathies, scares up 90% of the rules materials for this book. Merits and new abilities (mostly for Sin-Eaters) comprise this chapter. I’m not sure why Merits showed up in multiple places within the book (I only see the point in breaking them up when it’s a question of what players and game masters should have access to). A sidebar makes an interesting point that doesn’t apply strictly to this book. As the World of Darkness expands, seven points for starting Merits seems awfully scrawny point-wise. Some tips they suggest are free Merits that all players get or a simple number bump-up. Chapter Four (97-128), Autochthonous Depths, is the flip-side of Chapter Three. While there are some mechanics (such as how to map the underworld and get your general bearings), most of this chapter explores specific areas of the Underworld and some of its more demented denizens. 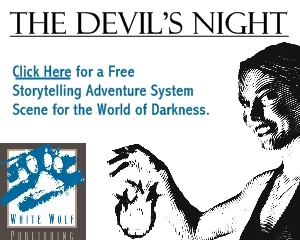 At least we know what became of Marilyn Monroe (or at least an aspect of her) in the World of Darkness. The creatures at the end of this chapter are not only suited for White Wolf but could easily be transferred to games such as Supernatural, Call of Cthulhu, or other paranormal-themed games. Chapter Five (129-201), The Dead Dominions, is the monster chapter in the book (Hell, it’s nearly half the book). While the reader has committed this much into the book, so has the player. The gaming troupe who reaches the geography and personalities that fills this chapter may likely suspect they’ll be spending several sessions there (if the Storyteller is generous enough to let them leave). These strange realms resemble American Ghost Towns, blood-splattered warzones, a prison, a junkyard (where perhaps Lemont and Fred still bicker over how their business should be ran), and much more. These micro-worlds are so distinct and laden with such primal characters that you can’t help but want to use them. Weaving a story that would take a group through these multiple lands would make an excellent adventure, although I’d reckon that it would be a beast in size. Thanks for the review as always, Todd! I wasn’t able to reproduce the error you mention on any of our machines, but if you’re still experiencing it, you might want to talk to the tech folks at DTR and see if they can help you out (or find something that we missed that we need to fix). Sorry you’re having problems! I think it unfair to judge it 2/5 for layout based on your faulty computer. Mine did not have such a message and worked fine. Thanks for the feedback. The error, since it was on my end, wasn’t the deciding factor for the rating. For me, the bordering and layout just didn’t bowl me over as most in this line does. I received a fresh download link from DTR today. No real idea why that file (of all files) was iffy on my computer (of all computers). I’m sure the new download link has corrected the issue. Thanks for the advice, Eddy! I’m a fan of GEIST, and have to admit that this sounds right up my alley. Thanks for the review!